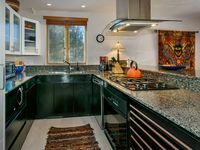 Properties in Ski Santa Fe average 4.7 out of 5 stars. Great Location - Special rates. Book now! Property 7: Great Location - Special rates. Book now! Property 8: Two King Master Suites! Enchanting Adobe on Quiet Cul-De-Sac. Walk to the Plaza! Casa Viva - walk to Plaza, Mountain and Sunset views! 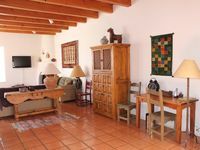 Property 17: Casa Viva - walk to Plaza, Mountain and Sunset views! Property 18: Santa Fe spa hideway — destination different! Exclusive 2 bed Villa, a/c, close to the pool, and sunset views! Property 24: Exclusive 2 bed Villa, a/c, close to the pool, and sunset views! Mountains, art and tranquility is what you’ll find in our beautiful townhome. Property 28: Mountains, art and tranquility is what you’ll find in our beautiful townhome. Downtown Vacation Rental. Available May & June. Walk to Plaza..Special rate May! Property 29: Downtown Vacation Rental. Available May & June. Walk to Plaza..Special rate May! This place was everything as presented. Hal was very responsive to any issue. The only thing he could not fix was the weather. He was right there to shovel the snow though. Would recommend the Casablanca Zen to anyone wanting a VRBO in Santa Fe. Very nice place. Patio off living room is very private w impressive views. We were surprized to find a small private patio off one of the main floor bedrooms. Fifteen minute walk to plaza, yet in quiet neighborhood. Although a duplex, you cant tell when you are there - inside or on patios. Great place.